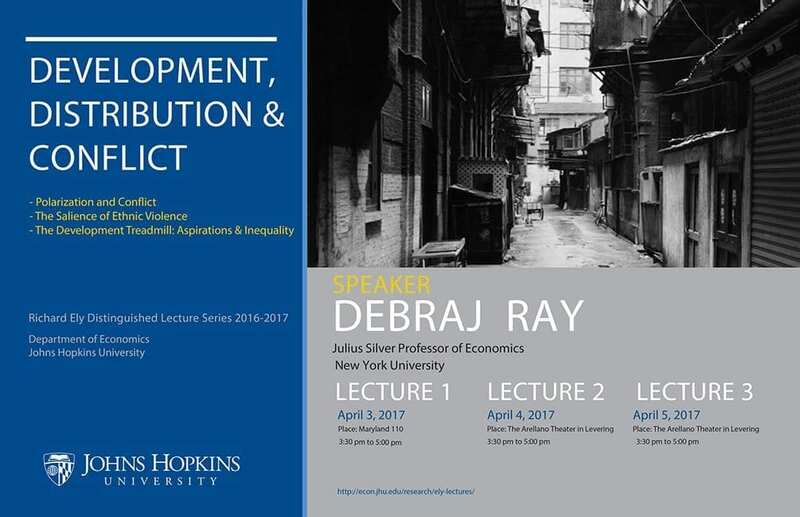 Debraj Ray is Julius Silver Professor of Economics at New York University. He is Co-editor of the American Economic Review. Ray graduated with a bachelor of arts degree in economics from the University of Calcutta in 1977. He obtained a master’s degree (1981) and a PhD (1983) from Cornell University. Ray has held long-term positions at Stanford University, the Indian Statistical Institute, and at Boston University, where he was Director of the Institute for Economic Development. He has held visiting appointments at Harvard University, MIT, the Instituto Nacional de Matemática Pura e Aplicada in Rio de Janeiro, Brazil, the People’s University of China in Beijing, and the London School of Economics. He is a Research Affiliate of the Instituto de Análisis Económico in Barcelona. His research interests are in Microeconomic Theory, Game Theory and Development Economics.